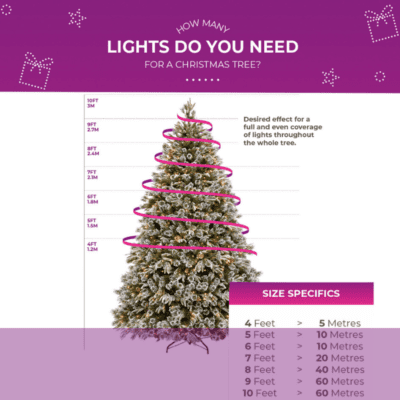 Here at Festive Lights, we’re all massive Christmas fans – we can’t wait to pick out our tree, get the lights hung and keep our fingers crossed for the ever elusive white Christmas. But we understand that for those that are pressed for time or space and working on a budget at this festive time of the year can find Christmas a really stressful time. So to help you out, we’ve decided to share a few of our favourite Christmas “hacks” – tips that will save you time, money and space this year to make things just that little bit easier. All you need to do is decide if you’re going for one of the popular Christmas trends of 2016 we’ve shared then read on to find out how you can achieve it. Use a different colour scheme – red and green are synonymous with Christmas, but white and blue can be popular all year round without looking over the top. Copper and bronze have been big all year round but exude a festive feel, so work these metallics into your Christmas décor then keep them out after the big day. 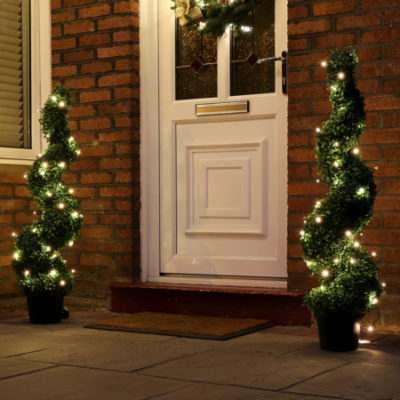 White lights are ideal to use all year round so you won’t need to string them up and take them down again. The “Snowman Fridge” is a fun way to update your home for Christmas, especially if you have kids, but takes very little work – just use paper and sticky tape or magnets. 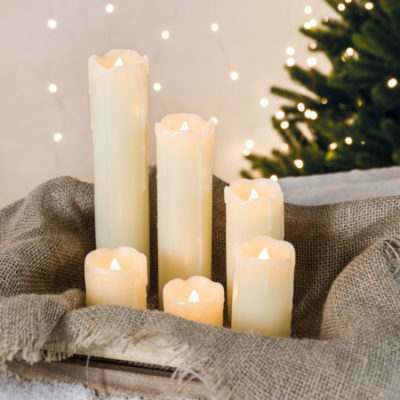 Mason jars filled with salt “snow” and battery candles work a treat – decorate with holly, then remove the snow and festive plants to use the rest of the year. Bake gingerbread cookies then decorate and varnish to last for several years. Greenery from your garden can be sprayed with fake snow, or spray paint clean branches in copper, bronze and gold for on trend home décor to be used year round. Working on a budget this year? We’ve got ideas for that too! Make your own advent calendar rather than getting an expensive store bought one. Fill it with treats like single sweets, or for a more religious theme, write out a Bible verse each day for your child to uncover. Bring the outside in: instead of buying a wreath, use fur trimmings from your own garden or nearby countryside – just make sure you have permission first! Old Christmas cards usually just get chucked away in January, but you can reuse them as Christmas décor – cut out the sections from the front and create a collaged wreath. Homemade stockings are a fun way to get the kids involved at Christmas and crafting. Get a timer for your outdoor lights to switch them on and off when needed to save on electricity. Create an “edible Christmas tree” out of nuts, dried fruit, seeds, toffee and chocolate. You can varnish it to reuse, but we recommend snacking on it throughout the festive season! 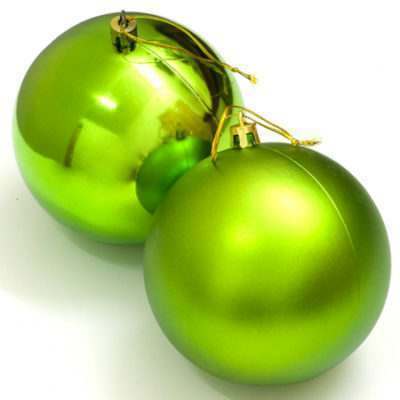 Instead of a tree, create an ornament, ribbon or tinsel window – hang decorations around a window using a curtain rail. Doorways, mirrors and picture frames also make excellent stand-in Christmas trees – drape fairy lights and garlands around these for a space-saving Christmas touch. 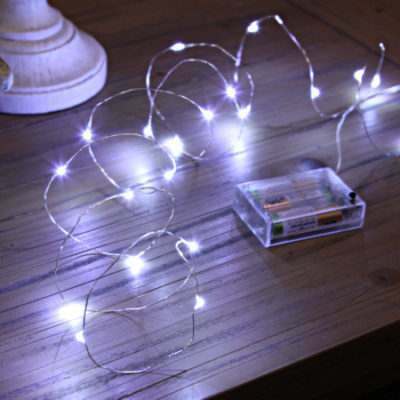 Battery lights are a great idea for space as you won’t need to work around awkwardly placed plug sockets and extension cords. To have a bit of fun with young children at Christmas, create a “Post-It Note Tree” – it saves on money, space and is easy to put up and remove. Store your ornaments in plastic cups, stuffed with cotton wool for breakables. Store your Christmas lights wrapped around a coat hanger or wrapping paper roll to prevent tangles. You can download our full infographic as a single image here. Have any handy hints you’d like to share? Leave your comments below and if you enjoyed this blog, please do like and share it with your friends, Romans and countrymen.